A team of students from Kansas State University finished in third place at this year’s national marketing competition hosted by the National Agri-Marketing Association. The competition was April 17-18 in Kansas City, Mo. Team members included: Cassie Kniebel, Michelle Hill, Kendal Clawson, Annie Patterson, Preston Lagemann, Kellie Jackson, Taylor Peterson, Brady Rundel, Gordon Harton, Hannah Miller, Kelsey Harris, Kurtis Clawson, Kendall Voth, Logan Britton and Marie Klimova. The team is coached by David Lehman, instructor in the department of marketing. 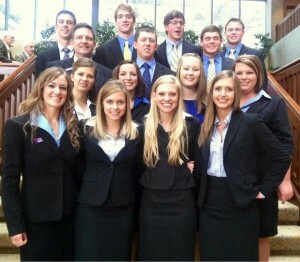 K-State’s team had 15 students involved with this year’s project to market, “Omega Beef,” omega-3 enriched beef. The product was developed as a solution for health-conscious consumers to have their intake of omega-3 fatty acids with a beef flavor and taste. The team spent the last several months conducting market research, writing the marketing plan and developing a presentation. In the competition, students decide on a project and develop a plan to successfully bring the product or service to the marketplace. In developing their marketing plan, students follow the same practices and principles used by today’s marketing professionals. Teams submit a written plan summary prior to the competition and then make a formal presentation of their marketing plan to a panel of judges at the competition. The judges’ panel consists of marketing and agribusiness professionals. 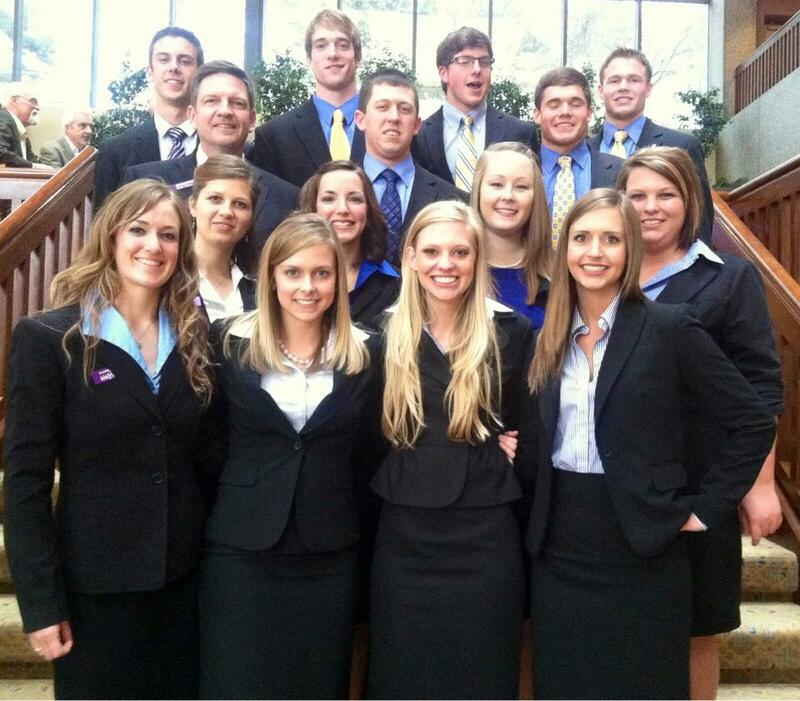 Overall, 29 student chapters of the National Agri-Marketing Association participated in the marketing competition. The competition is part of the association’s annual conference and trade show. More than 350 student members attended the conference.